DriveNation | Blog | Should I Buy a Car, Truck, Van or SUV? A vehicle is the third biggest purchase of your life. Whether you’re in Calgary and need something to commute to work or near Prince Albert and have long drives just to pick-up groceries, before you go ahead to buy a vehicle, it is important you do some research to ensure that you make the right decision. The first thing you need to do is identify your needs and wants; basically, what would you be using this vehicle for? Next, set a budget. This is very important as it will determine to a large extent the type of vehicle you would be able to purchase. After you’ve completed the above, you take a look at those two answers and choose a segment that fits your needs within your budget. However, this step may not be as easy as it sounds. Over time, the distinctive features between vehicles have all but erased. We now have SUVs that can tow, sedans that afford more space, and trucks that aren’t simply just workhorses. Although trucks are used mainly for hauling cargo, this is not their sole purpose. Modern trucks are built much like cars, often having four doors and a backseat option which allows five to six passengers to sit comfortably. Although they may not be as fuel-efficient as a midsized sedan, they certainly are not far off from SUVs and vans. The key benefit of trucks is that they can be used to transport cargo with tremendous ease. This is helped by the fact that the truck bed is separate from the entire body of the vehicle, so users can carry extra cargo without damaging the body of the vehicle. Trucks also have larger brakes than most other vehicles, which means that they are powerful enough to stop a large amount of weight. Trucks also allow you to transport all manner of messy loads with easy cleanup. All that is needed is a quick rinse and the bed is good to go. This is not achievable with a van which would require a carpet cleaner and a lot of patience. Trucks come with bigger tires and increased tread, which makes it easy to maneuver in snow compared to smaller vehicles. Their height also ensures that you don’t get stuck while driving through difficult terrain. Trucks do come with a couple of limitations. Their great height, which is excellent when driving off road, may be a source of challenge for small children or older people or underground parking garages. Trucks typically do not have third-row options thereby making them limited in the number of passengers they can carry and items that can be stored in the cab area. It may also be challenging to navigate trucks in busy cities that are now being built for smaller, more agile vehicles. When it comes to fuel economy, trucks cost more at the pump as compared to cars or SUVs, this is because of their big engines. Trucks are also typically heavier than other vehicles. Add in the potential for towing capacity and all that increased weight will mean you’ll be spending more at the gas station. SUVs share more similarities with cars and minivans than they do with trucks. Sport Utility Vehicles typically have a unibody car design that has been upsized for greater room comfort and fuel efficiency. But they don’t have strong pulling power and cannot handle dirty cargo. They come with four-wheel or all-wheel option which makes them excellent for people who usually drive through mud, snow, or dirt. They can also be used for towing and perform better at that than vans, but aren’t as good as trucks for this purpose. Depending on the size of your family, you can opt for two rows of seating or three rows. While crossovers come with two rows, midsized models have three. Crossovers are also economical when it comes to fuel efficiency, they usually cost less to fill than the mid-sized SUV. Among the vehicle options SUVs have the most versatile options, from those that drive nimbly like your average sedan to larger versions which can comfortably carry a soccer team without any qualms. The hallmark of SUVs is their adaptability. SUVs are excellent for winter, because of their raised ground clearance. Allowing users to drive through snow that may cause problems for other vehicle types which are closer to the ground. Although vans or minivans are very reliable they do not have much style. The minivan is the best option when you wish to transport people and their goods with less headache. Vans are a lot like cars, but with extra height. It gives the feel of an SUV or truck but does not have that extra length. Despite its adequate passenger room, the cargo space is still very impressive. In most vans, users are allowed to hide the third row to give greater cargo space. Minivans are not built for hauling large or heavy objects but make excellent companion for big trips to the mall or to carry out other household duties. A van is actually one of the most practical vehicle types available and generally is one of the most cost-effective as well. The biggest issue for potential van drivers is usually the image associated with it. Many don’t want to be pegged with the prototypical, soccer mom living in the suburbs appearance. And that’s unfortunate, because this body style really does lend itself to some amazing benefits whether you have that big family, or not. Cars come in different types which includes sedans, station wagons, coupe, and convertible. While coupe come with only two doors and don’t offer so much by way of cargo space, sedans have four doors and are apt for families. Station wagons and hatchbacks comes with extra door and usually have more space. Although hatchbacks offer almost the same amount of space as SUV, they are economical when it comes to fuel efficiency. This is due to the fact that they have the same height as a car making it weigh less than an SUV. When it comes to fuel economy Sedans and Coupes are much better compared to SUVs and trucks. Although cars such as Sedans and Coupes have a lower ground clearance, that doesn’t mean they can’t handle winter season. All that is needed is a good set of winter tires and proper maneuvering. 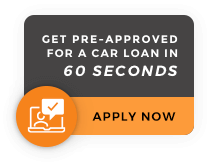 A car is often the most inexpensive of all the vehicle types you can get, which makes it a starter option for those with bad credit, as they build it towards the van, SUV or truck of their dreams in the future. Depending on your unique situation, each body style has the potential to fit your needs. With over 300 vehicles on-site and access to thousands more, at DriveNation, whichever you choose, we can help.